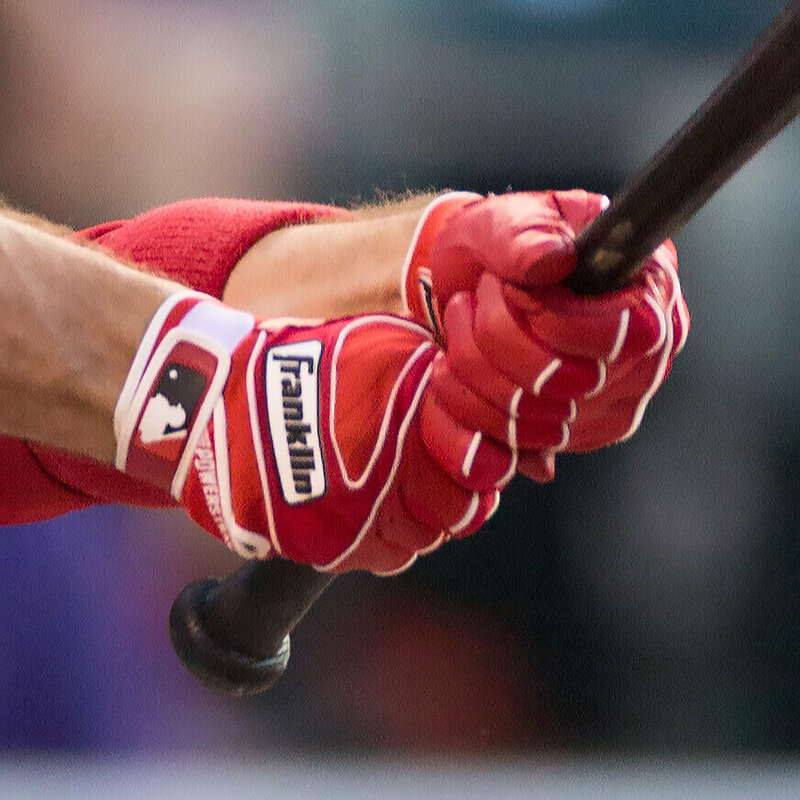 Joey Votto rocks the Franklin Powerstrap batting gloves that we really can’t wait to see in the custom builder. 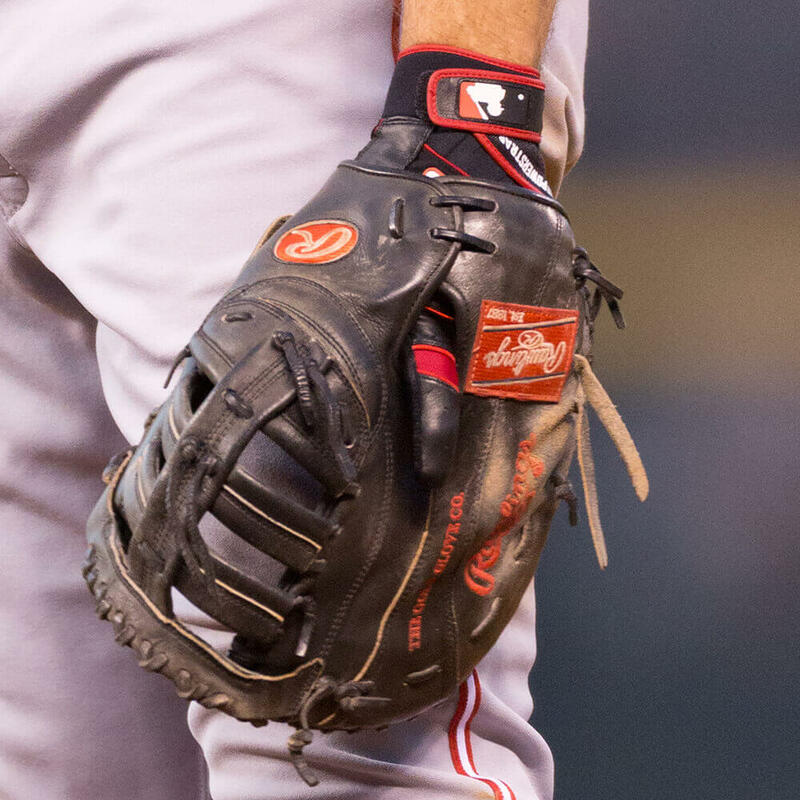 Its a new style that has caught on big-time in the MLB, probably because of the oversized strap that tightens around the whole hand and not just the wrist. 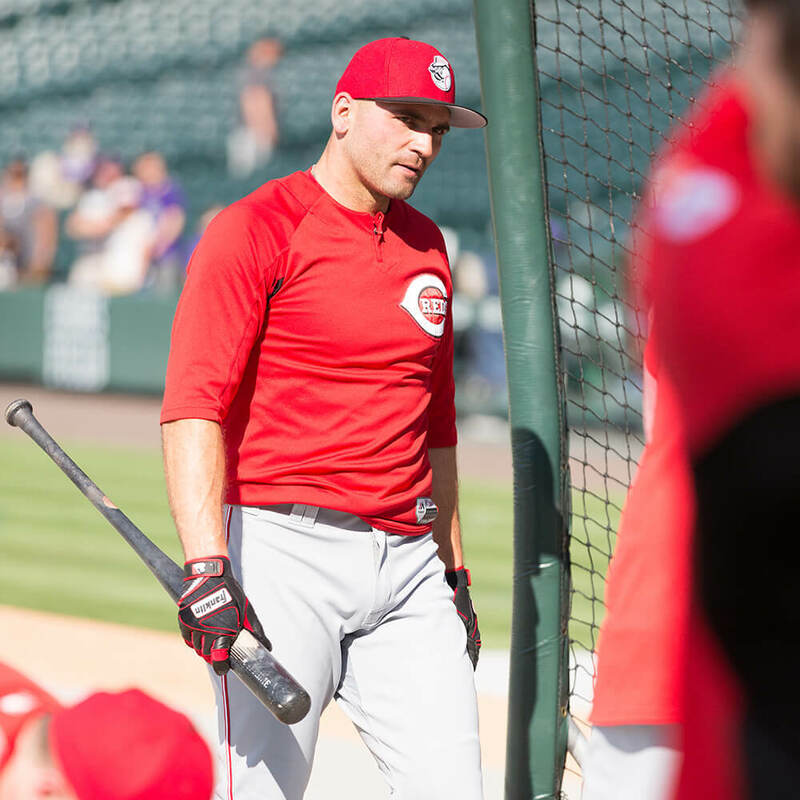 The Powerstrap style is available in a few different colorways, but not Votto’s reds or blacks (worn under his 1B mitt), at the link. 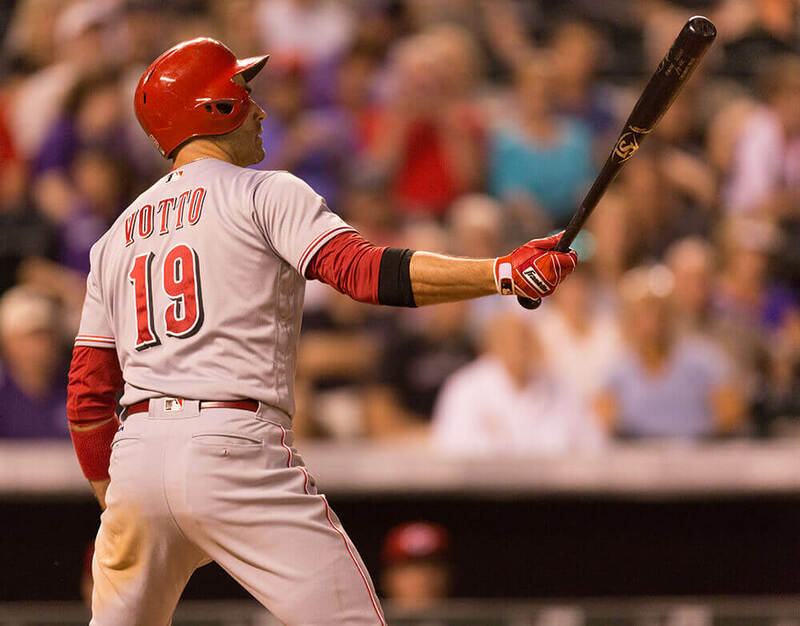 Categories: Joey Votto, Gear, Batting Gloves, First Base, Cincinnati Reds.